Property managers often rely on manual processes - like excel spreadsheets and paper checklists - to meet the demands of luxurious units and frequent concierge service. 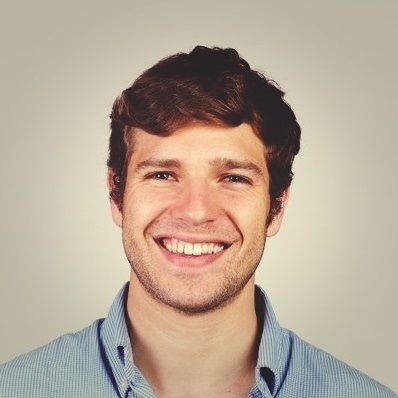 In fact, AppFolio’s 2019 Real Estate report found that the lack of automation is slowing the growth of over 35% of property management businesses. Managers are devoting more than 200 hours of annual property care at each unit, and are finally turning towards data to automate operations. Not only do tighter property operations lead to fewer headaches and costs, they empower managers to provide a better rental experience. 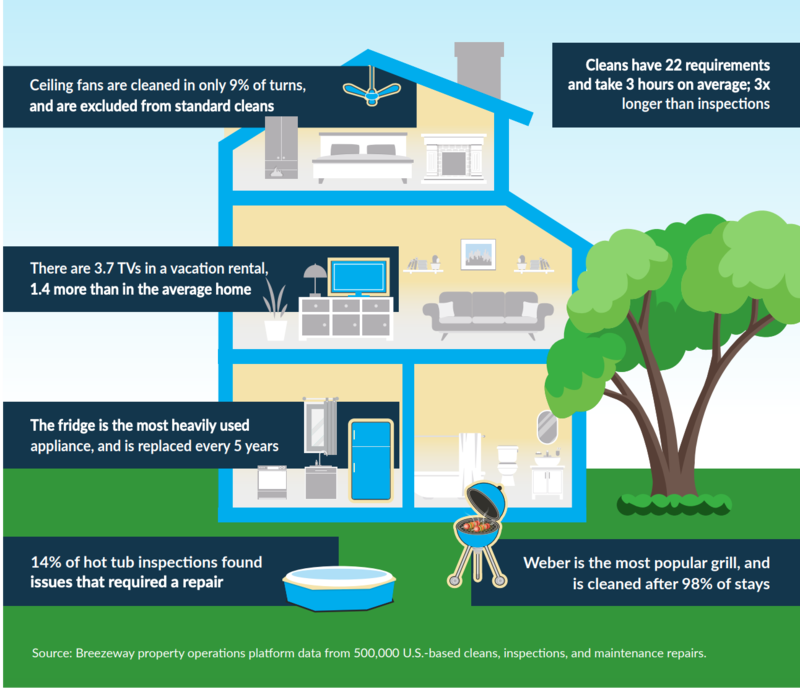 We drew from our experience helping managers conduct 500,000 cleans, inspections, and maintenance jobs, and created this graphic with interesting property care insights. Let’s start with ceiling fans. Based on our internal data, ceiling fans are dusted between 9% of stays. Most companies exclude fans from their standard checklists, mainly because they are hard to reach. Believe it or not, the air particles closest to the blades move more slowly, making it easy to quickly accumulate grease and dust. This phenomenon is particularly problematic in warmer climates because fans are often running during the majority of these stays. Managers in warmer climates can lower the risk of a guest complaint by slipping a wet pillow case over each fan blade on a monthly basis. Hot tubs are one of the more popular rental amenities (particularly in cold climates) and could be one of the main reasons that the guest booked your property. Just imagine the frustration and disappointment upon arrival if the guest finds a dirty or dysfunctional tub? This happens more frequently than you might think. In fact, 14% of hot tub inspections performed through Breezeway found issues that required a maintenance repair. To keep your hot tub in tip-top shape throughout the year, try putting tennis balls in your tub after every stay. The yellow fibers on the tennis balls absorb lotion, oils, and soap that are transferred into the water after each use. Grills are another hot commodity that guests look for when booking a summer rental. Nobody likes a dirty grill, so it’s no surprise that we found that managers thoroughly clean grills after 98% of stays. Not sure how to keep your grill in pristine condition? Most manufacturers have specific instructions you can follow, and include supplies like a nylon grill brush and warm soapy water. Check out these different techniques for cleaning both charcoal and gas grills. There are a lot of nuances to property care that make it difficult to ensure your rental property is consistently guest-ready. In an age where data is king, property managers should evaluate how to leverage property data and task history to drive efficiencies.